We are currently expanding our Events Team! The Trust offers a varied events programme of visits to some fine and special places, some of these not open to the general public. We would like to ask for your help in continuing the programme. 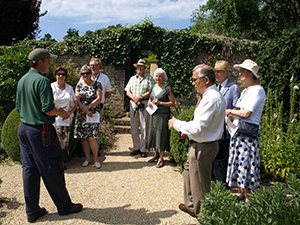 You need no specialist skills or knowledge – simply enthusiasm for gardens and garden visiting. If you volunteer to organise a visit, advice and support is available from within our small and friendly team. There is much enjoyment to be had from discussing ideas with other team members, researching places of interest and liaising with different people such as owners and head gardeners. The commitment is light and the team meets as needed. Why not come to one of our meetings as an observer to see if joining us might appeal to you? Please contact our Administrator, by e-mail at admin@hgt.org.uk or by phone on 01794 367752 for more information.